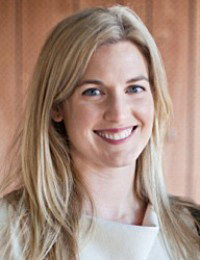 Dr. Lauren was born in Indianapolis, Indiana, and grew up in Carmel, Indiana. She attended Carmel High School, where she participated on multiple state champion women’s cross country and track teams and graduated in the top of her class. She later received a Bachelor of Arts in Chemistry from Indiana University-Bloomington, graduating with highest distinction, and a Master’s Degree in Kinesiology from the University of Michigan. 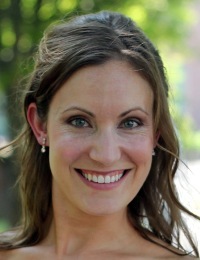 Dr. Lauren graduated from Indiana University School of Dentistry in 2007. Her interest in children inspired her to continue her studies at Riley Hospital for Children. She received her Certificate in Pediatric Dentistry and her Master’s Degree in Pediatric Dentistry from Indiana University School of Dentistry. During her residency, she was honored with the Arthur Klein Research Award and the Ralph E. McDonald Scholar Award for outstanding performance. In November of 2011, Dr. Weddell became a Diplomate of the American Board of Pediatric Dentistry. She enjoys staying active, running, watching movies, and spending time with her family, including her husband, Josh, their sons, Nixon, Oliver, and George, and their new puppy Miss Foxy Brown! Dr. Jim retired from his full-time faculty position in Pediatric Dentistry at Indiana University School of Dentistry and Riley Hospital for Children after over 30 years of service! Dr. Jim has published numerous articles and book chapters in dental and medical literature and has lectured on a variety of pediatric dental topics in the United States and South America. Dr. Weddell is an advocate for infant health care and is past chairman and co-chairman of Indiana’s Healthy Baby/Healthy Mother Coalition. 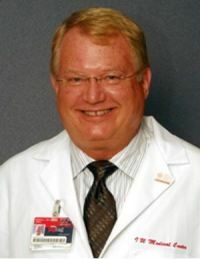 Dr. Jim graduated from Indiana University School of Dentistry and completed his pediatric dental residency and post-doctoral fellowship in Cerebral Palsy at Riley Hospital for Children. He enjoys helping children, teaching, and spending time with his family. Dr. Jim is married to his wife, Karen Fischer DDS, and has three daughters, Jami Ross, Nicole Weddell DDS, and Lauren Weddell DDS, and seven grandchildren. Dr. Nicole was born in Indianapolis and grew up in Carmel, Indiana. She attended Carmel High School. She ran track and cross-country at Carmel High School. Dr. Nicole chose the field of pediatric dentistry because her father, Dr. James Weddell, founder of Weddell Pediatric Dentistry, inspired her. He taught her clinical excellence, hard work ethic, responsibility to community, and the importance of loving your job. She enjoys working with kids and having fun everyday on the job interacting with patients, families, and staff. Dr. Nicole enjoys working with the Hispanic community allowing her to keep up her Spanish. She lived and studied abroad in Madrid, Spain, for one year during college. She traveled to Calnali, Mexico, all four years of dental school to provide dental treatment to needy children. During her residency she travelled to Mexico to provide dental treatment under general anesthesia to needy and medically compromised children. Dr. Nicole works in private practice and has hospital privileges at Riley and IU North. Dr. Nicole to married to Dr. Sam Tancredi. She enjoys spending time with her growing family- Maureen, Tony, Elise, and Mia. She loves to walk and swim with her golden retriever, “Puppy” and yellow Labrador “Lucy.” Dr. Nicole and her family are loyal IU basketball, Colts, & Pacers fans!